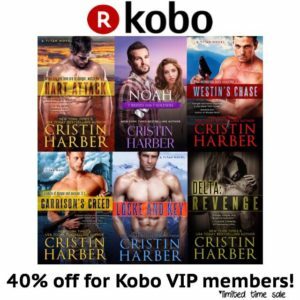 Calling all Kobo VIP Members! There is a limited time sale for Kobo VIP Members on a whopping SIX of my bestsellers from the Titan and Delta series—plus Noah, my standalone in the 7 Brides for 7 Soldiers series. We think our most passionate booklovers deserve the VIP treatment. Not a bad way to have a bookstore look at you, huh? Here’s How to Join or if you simply need to upgrade your existing membership to VIP status, here is the FAQ page. Don’t Forget US and International Readers Too! 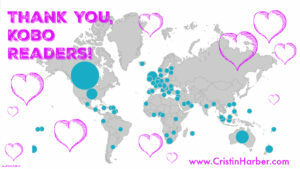 If you’ve noticed, nearly every giveaway and contest that I participate in is open to international readers. I love my fans and new readers across the world, and just to give a quick shout out, here are all the countries that love the Titan, Delta, and Only series! That’s amazing! We have such a great connection through books, and I’m thrilled to be a part of your lives and bookshelves. No matter where you live or what your favorite retailer is, make sure you stop by our Facebook group Team Titan. We have friendly meet-ups around the globe!